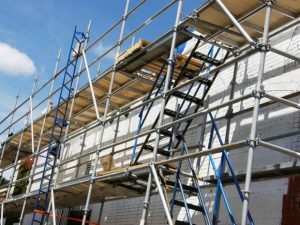 In the recent case of Schaefer v. Universal Scaffolding & Equipment, LLC, plaintiff came upon a major challenge in pursuing claims against two defendants owing to the fact that the reportedly defective piece of scaffolding that struck him in the head, causing serious injuries, was lost. Plaintiff filed claims for construction negligence, failure to warn and negligent spoliation of evidence. Spoliation of evidence is when there is evidence of intentional, negligent or reckless withholding, hiding, altering, fabricating or destroying some piece of relevant evidence in a legal proceeding. According to court records in this construction accident injury lawsuit, plaintiff was employed by a company called “Brand” that was contracted by a company called “Dynegy” to erect scaffolding at a power plant owned by Dynegy. Brand had total control over the erection of the scaffolding. The scaffolding components, however, were obtained form a third company, “Universal,” but paid for by Dynegy. As Brand employees worked to put the scaffold together, they were finding some of the bars were not the correct length and wouldn’t properly lock. Eventually, this became a serious issue on the site and Brand employees were required to inspect the components from Universal as they arrived and if pieces were defective, they were to be marked. Plaintiff was one of those working to assemble the scaffold. He was situated underneath another worker and would hand him scaffolding pieces one-by-one to be installed. However at some point, one of the bars, apparently because it was defective, popped out of place and fell, striking plaintiff on the head. He suffered serious injuries to his head, neck, back, shoulders and arms. Exactly what caused the bar to fall is a key point of contention in the case. Neither plaintiff nor his co-worker saw any obvious defects with the bar, but said they didn’t have enough time to really look. Attorneys for the defendants say plaintiff’s co-worker knocked the bar with his tool bag, though the co-worker denies this assertion. Plaintiff insists the primary cause was that the scaffolding from Universal was defective. However, proving this was difficult because of what happened to that bar. Immediately after the accident, a safety supervisor with Dynegy retrieved the bar and stored it in his office at the plant. He moved offices the following year, and the bar was left behind. Someone put it in a storage room, but the last time anyone saw it was in the fall of 2010. 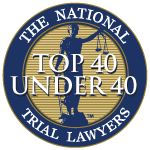 When plaintiff sought to examine the bar as part of the discovery in his lawsuit, it could not be located. District court granted summary judgment on all claims in response to several motions over the course of two years. The judge reasoned that without the missing piece, plaintiff couldn’t prove his spoliation claims because there was no proof the missing piece was defective and therefore it wasn’t possible to prove that its loss caused any damage. The U.S. Court of Appeals for the Seventh Circuit reversed in part, specifically as to spoliation. The court ruled that Illinois law (where the case originated) requires only that plaintiff show there was a reasonable probability of success in spoliation cases. In this case, justices decided, there was enough evidence from which jurors could make that finding. Specifically, they could rely on the remaining batch of scaffolding that had numerous defective pieces.